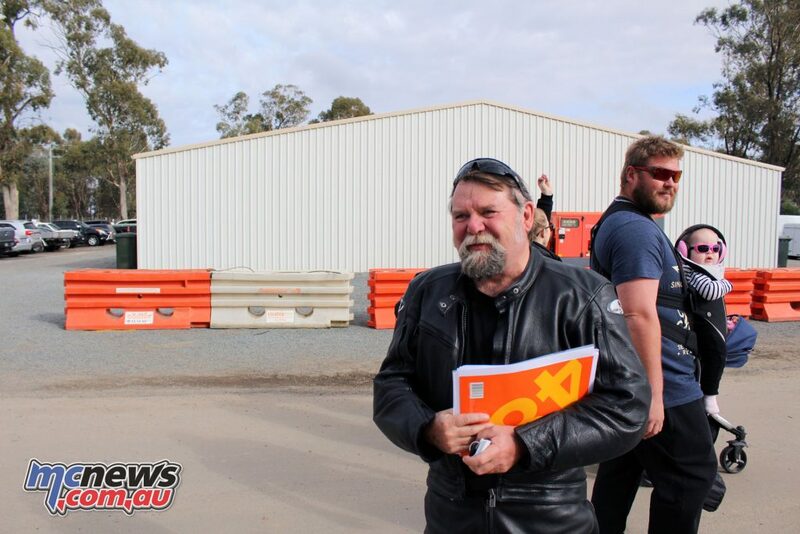 Historic Winton is one of the longest running historic race meetings in Australia. 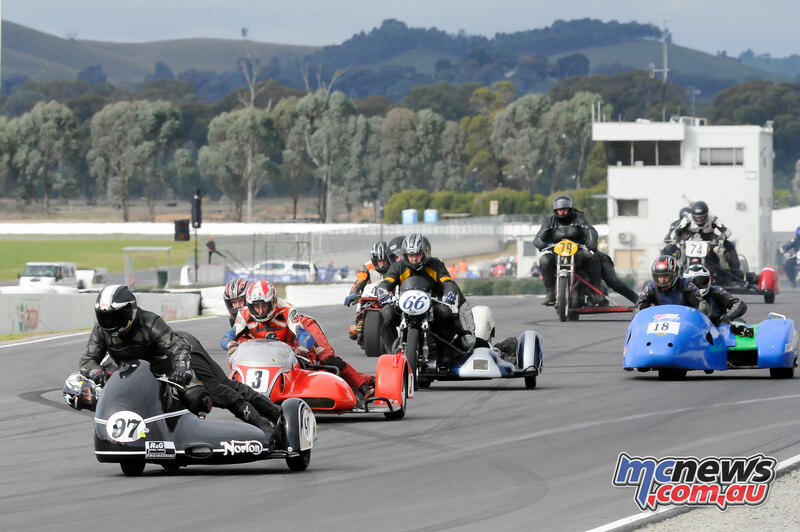 It’s a little unusual in that it is a combined car and bike meeting co-operatively run by Historic Motorcycle Racing Association Victoria (HMRAV) and the Austin 7 club. 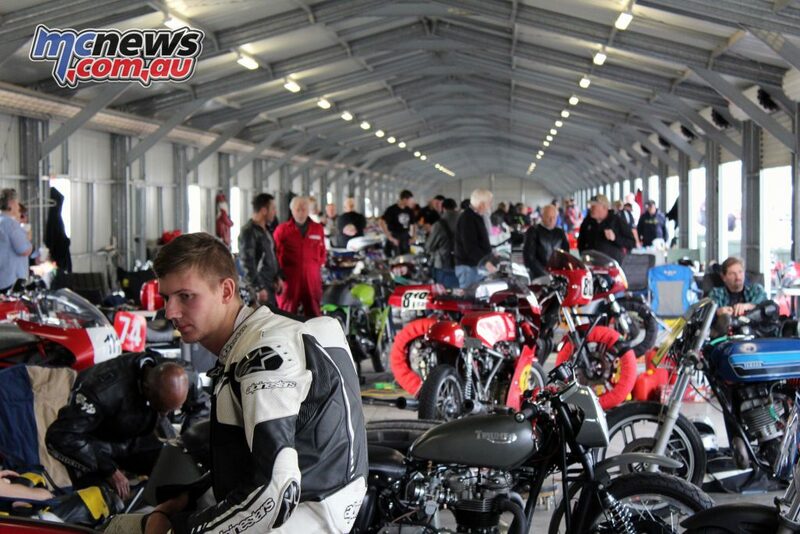 As such, it attracts large fields of historic bikes and cars and the crowds to go with it. As a bike lover, it is interesting to see how the spectators flock to the fence when the bikes head out on track, showing clearly that historic motorcycle racing in Victoria is extremely healthy. One of the better funded car teams at Winton! This year, was the 38th time that the bikes have run alongside the cars at Historic Winton. 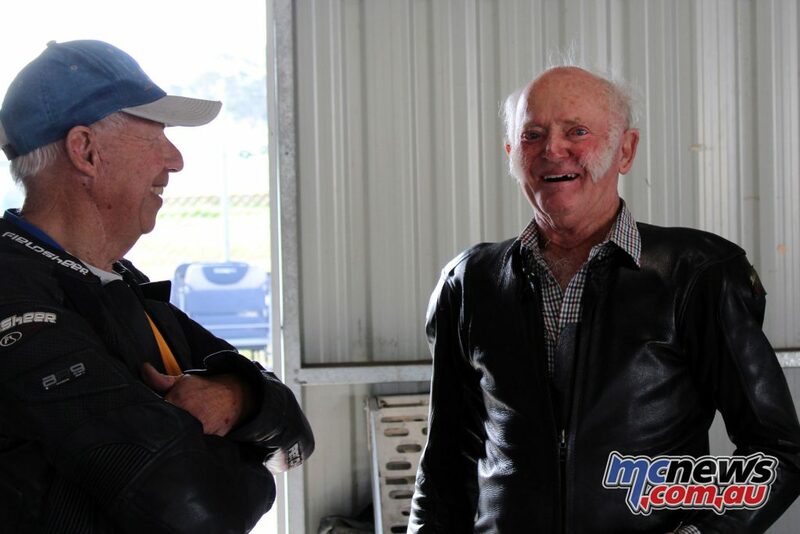 This in itself gives this meeting great historical significance, which attracts riders from all over the country. Of the bikes, some are as old as the vintage 1920s going right through to Period 6 bikes of the early ’80s. Of course, what historic meeting would be complete, without the name Ken Lucas on the program. For the historic fraternity, the name is as well known as Voltarin 25 (credit to Colin Rosewarne, photographer to the stars, for that little barb to the age of some of the riders). Not only was his name on the program as a rider… and ride he did, but as with a lot of classic meetings across Australia there was even a race named in his honour. 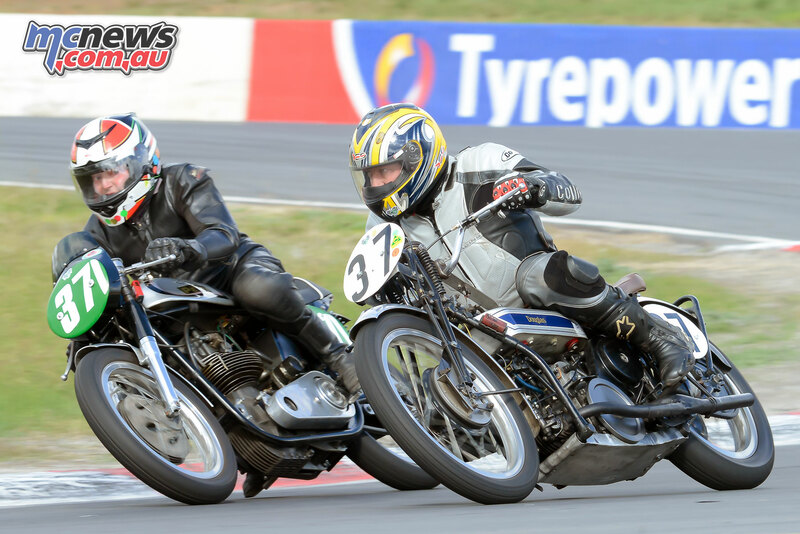 This meet featuring the Ken Lucas Classic Solo Trophy Race for Period 2 and Period 3 motorcycles. 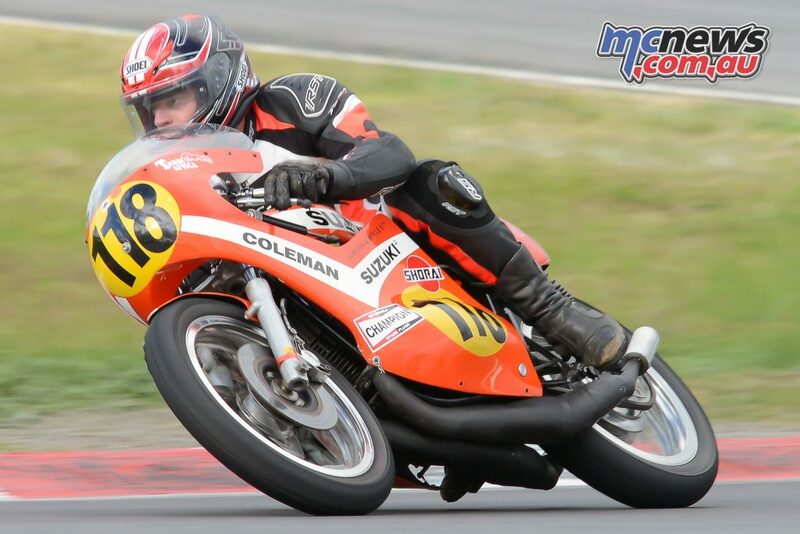 For those who don’t know Ken, he is a youthful 86 years young, potentially the oldest motorcycle road racer in the world. He never fails to impress with his vast and unique collection of bikes. 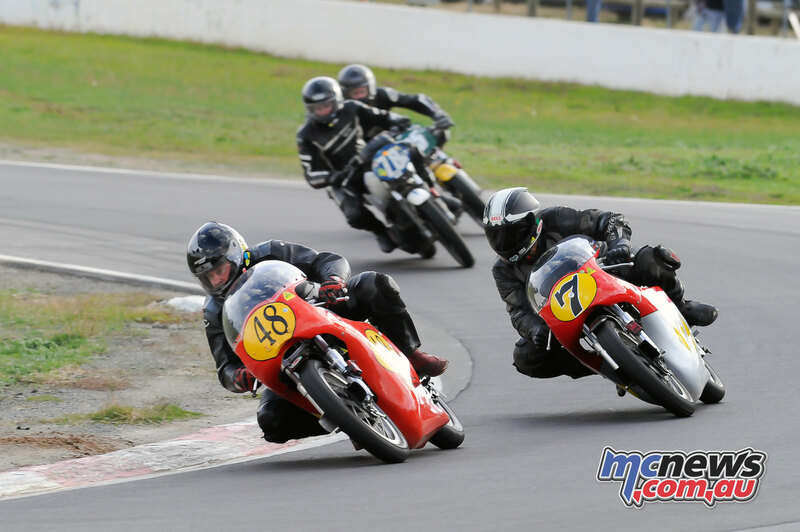 For the 41st running of Historic Winton, Ken brought along his 1953 Manx norton, 1960 AJS 7R, 1928 Douglas IOM and a 1938 Velocette MOV. These were ridden by Ken and a couple of other riders, including classic racing regular Ron Matthews. Ron is yet another who has been racing for as long as I can remember. 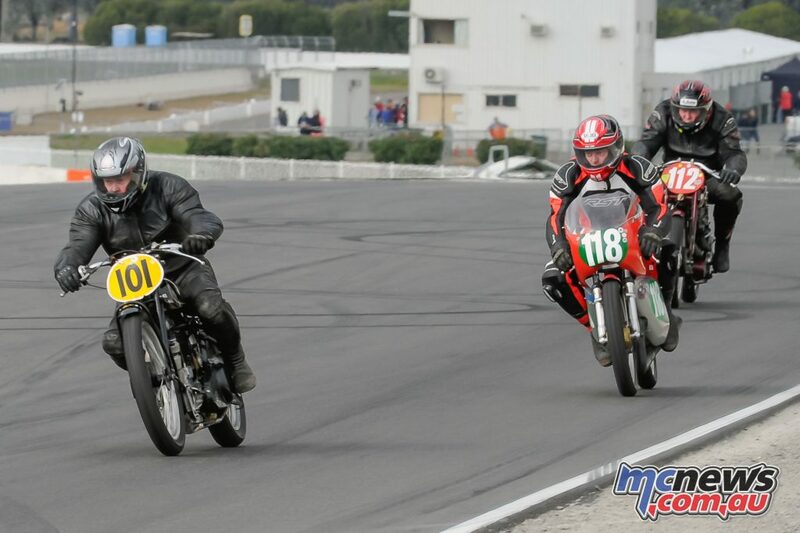 Normally running around on his 125cc two strokes, he was lucky enough to get the chance to ride some of Ken’s bikes. Charlie Palmer from Sydney also rode Ken’s 28′ Douglas, giving Ken a surprise in turn two as he rounded him up on Ken’s 53′ Manx Norton. As well as famous names like Douglas, Norton and AJS, there were also a plethora of names etched into the racing record books, like Rudge, Velocette, BSA, Indian, Harley Davidson, Matchless, Triumph and Vincent. 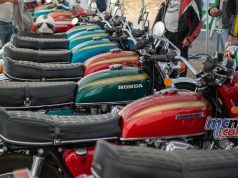 The later periods included manufacturers that are perhaps more familiar to the younger generations, Suzuki, Yamaha, Ducati, Kawasaki, Moto Guzzi, and Honda. With the Iconic Z, CB, RG, TZ, TT and GPz monicas all represented. 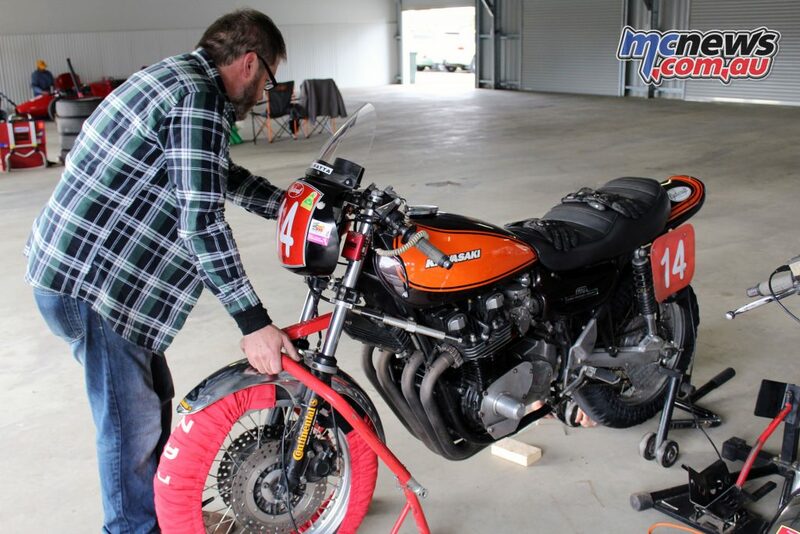 For bike enthusiasts, it was an oily dream of iconic bikes from end to end in the pits. Among the names on the program, were some common surnames, with Birthisel, Loone, March, Gorrie and Large all featuring on the program in various classes multiple times, all with different first names. 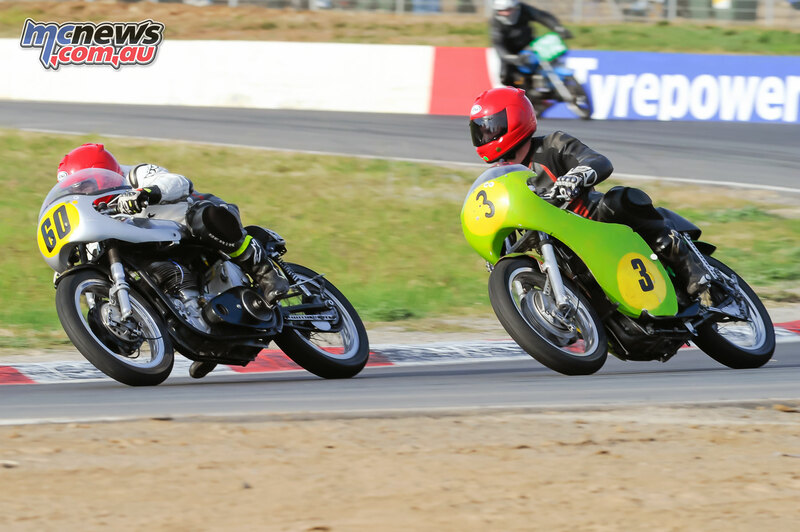 Danny Serong was there with his Z9 Kawasaki, raced the previous week at Broadford by his more than capable wife, who at the Bracket racing meeting was scraping the crankcases. Danny had to make some covers to go over the ground down cases, making this meeting a real family affair. The hand shift challenge, as always was a highlight of the meeting. 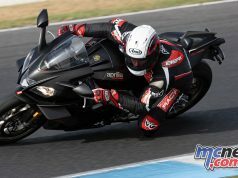 Anyone who has ridden a bike at speed knows how difficult it is to change gears, brake, get on the gas, use the clutch and steer the bike with two hands on the bars, try doing it at speed with a foot clutch and a hand gear shifter located beside the tank. 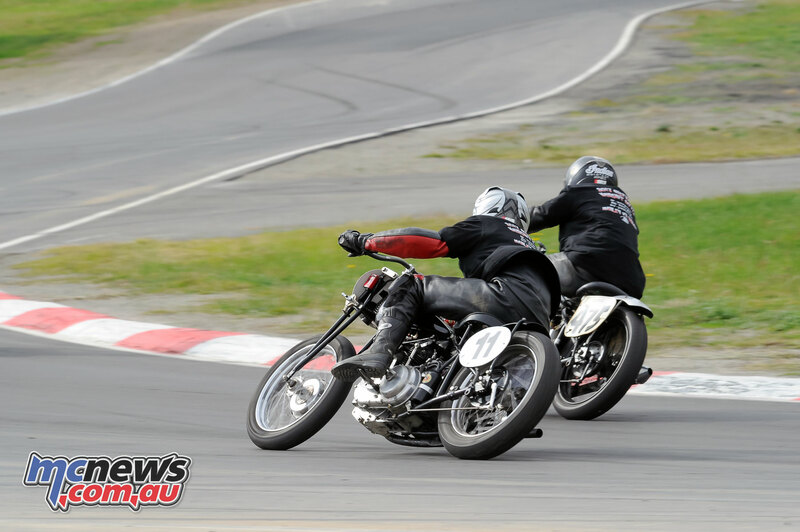 The Hand Shift Challenge is always a grudge match between the two great American rivals of Indian and Harley Davidson. In the Indian camp, were Brian March, Tim Loone, Michael and Chris Beaumont, Mick and Clint Chegwidden and Steve Kavanagh among others. In the Harley camp were historic racing regulars such as Dave Philpots, Adam Moxley, Ross Bolding and of course a name synonymous with Harley’s in Australia, former Roaring Sporties front runner in the 1200 Sportster class of the 1990s Eddie Garner. 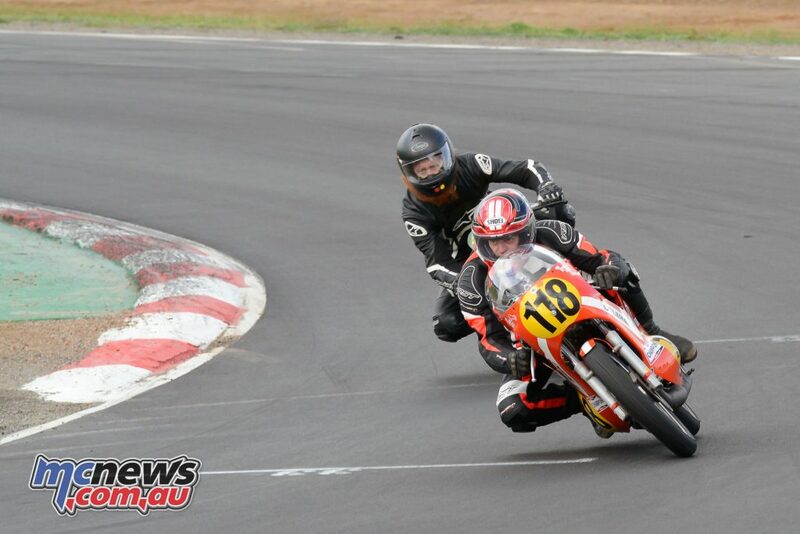 Ed was racing Sportsters at national championship level, when the then named Australian Road Racing Championships, were the only national championship for modern bikes. I used to shake my head at the lean angles they could achieve on those long and heavy 1200 Sporties and Ed was a hard man to beat back then. Nothing has changed. Ed rode his WLA Harley like it was stolen. He and his WLA would have a conservatively estimated combined age of 140+ years (see how I looked after you there Ed!). 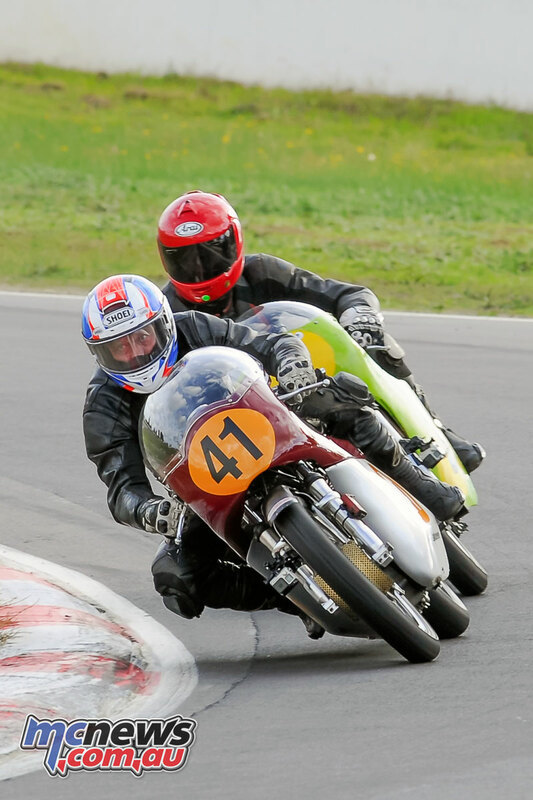 Ken Lucas of course would have (without me checking every competitor and bike) the most extensive combined age, with his Douglas and he adding up to over 185 years of age. Now that’s some history there, in both the bike and the rider. If you ever get to an historic meeting and are given the chance to have a chat with Ken, I’d highly recommend it. At 86, he’s still as sharp as a tack, with a sense of humour to match. I’m told a good scotch whiskey allows this sense of humour and many fond memories to flourish. 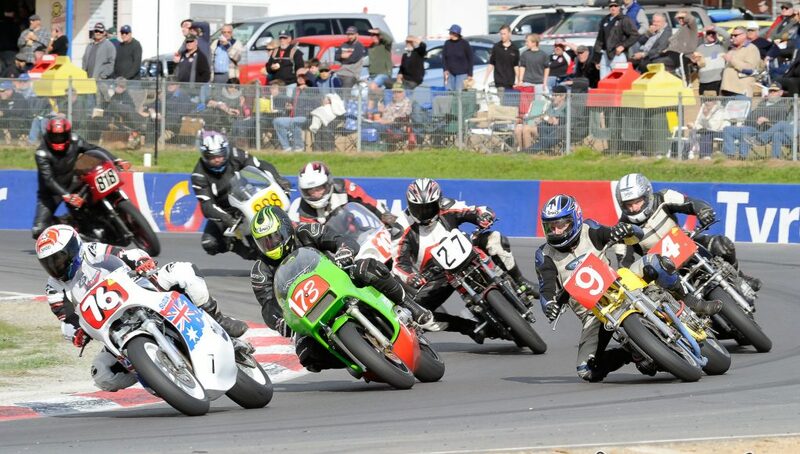 The dollar value of the bikes at Winton was in the tens of millions, such that I’d be very reluctant to push one of these unobtanium bikes if it were mine. But for these guys, when the flag drops, all those thoughts appear to just go out the window… or visor in this case. The speed and lean angles the front runners in each of the classes were carrying was fast. Proper fast. While racing room was always given, every opportunity to pass was taken. Lose concentration for split second and the rider behind would have you. This was apparent when you look at the results, with most classes having multiple winners across the two days of racing. This was no set of parade or demonstration laps, these guys were racing for real and the crowd loved every minute of it, with spectators hanging over the fence during many of the bike races. 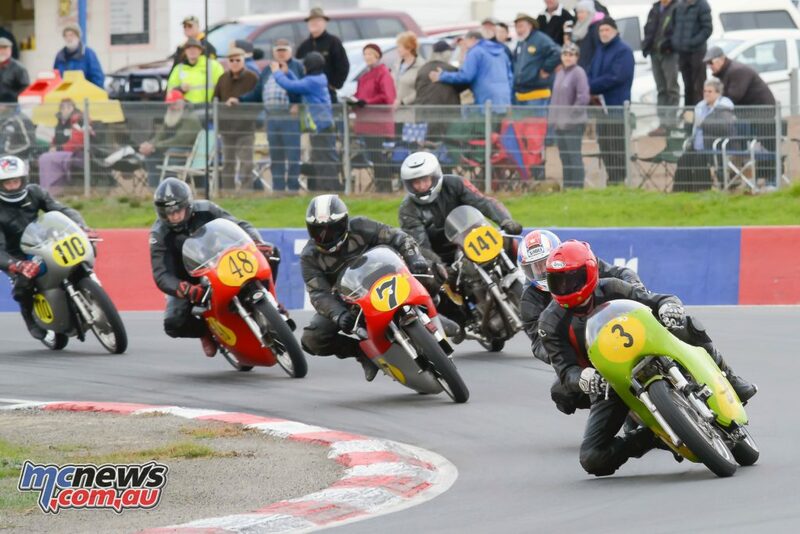 37-year-old Garth Francis, who runs both a Norton Manx ESO and a ’62 Norton Sidecar was there with both his bikes. 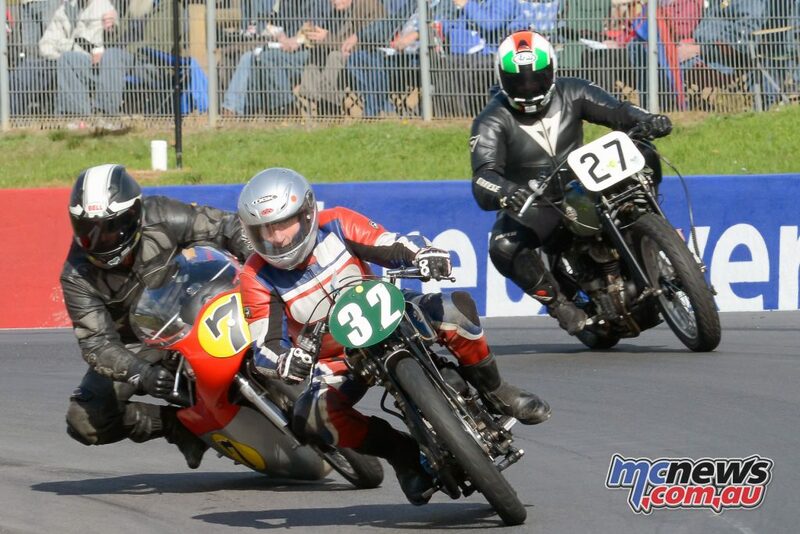 The sidecar has some history, being a copy of the chassis that Australian Barry Thompson raced at the Isle Of Man TT. Originally a kneeling trough bike, it was converted to a sitting trough to comply with Australian rules. It was built by Garth, with lots of assistance from both his brother Ryan and his Father Alan. 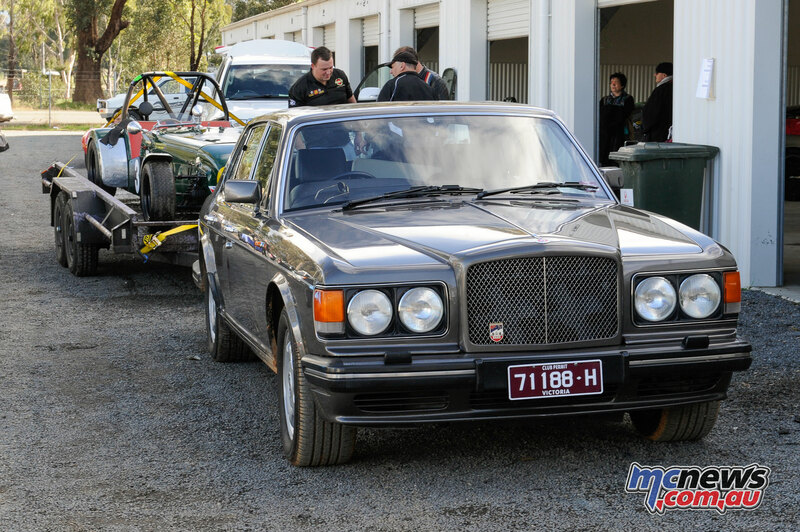 To keep it all in house, his passenger Paul Kenny did all the bodywork as well. Paul took the moulds from Barry Thompson’s bike, in keeping with the authentic nature of this essentially home built outfit. There are about four or five known to exist in Australia. The crankcases were originally cast by Barry Thompson and then machined in house by Garth himself. 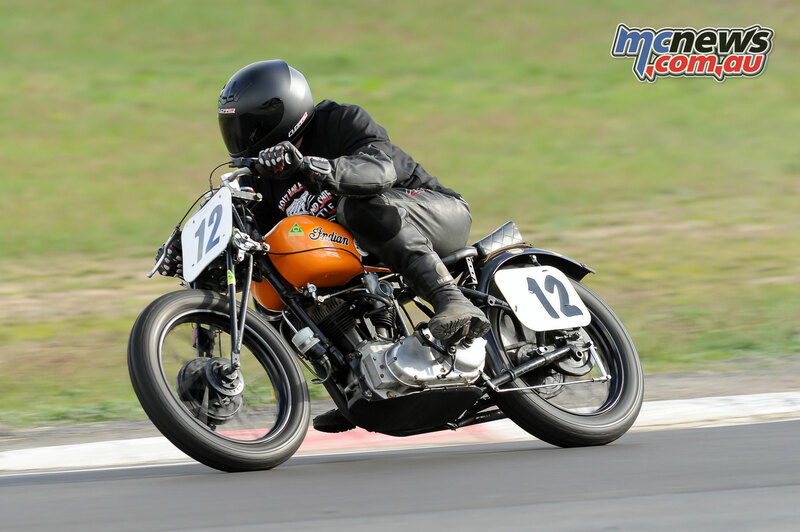 Garth also undertakes the head work himself, all of which adds up to a motor producing roughly twice the power of the original factory engine by Norton. 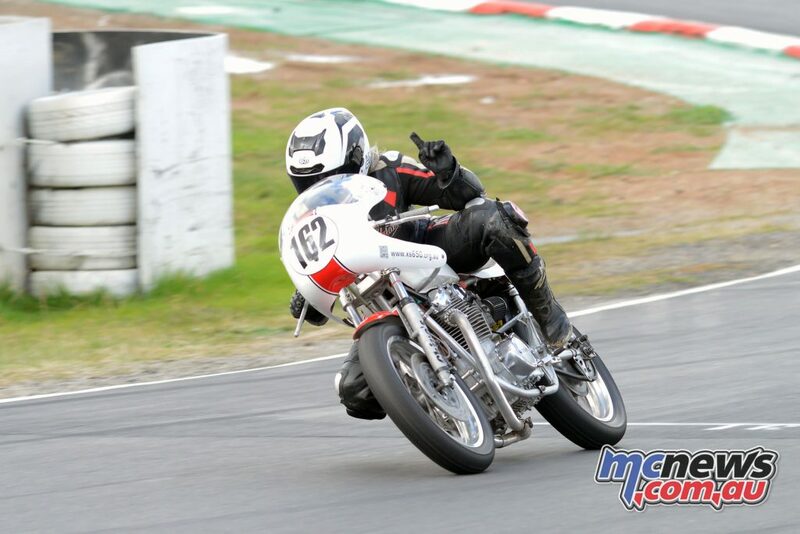 Garth not only won his class, but was also taking up to the bikes in the class ahead, ending the weekend with a well deserved haul of points. 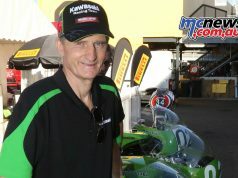 Mark Lithgow rode the wheels off what looked to be a fairly stock Kawasaki GPz550 in the P5 600 class, keeping the big 1300cc CBs, GSs and Zs honest all weekend. 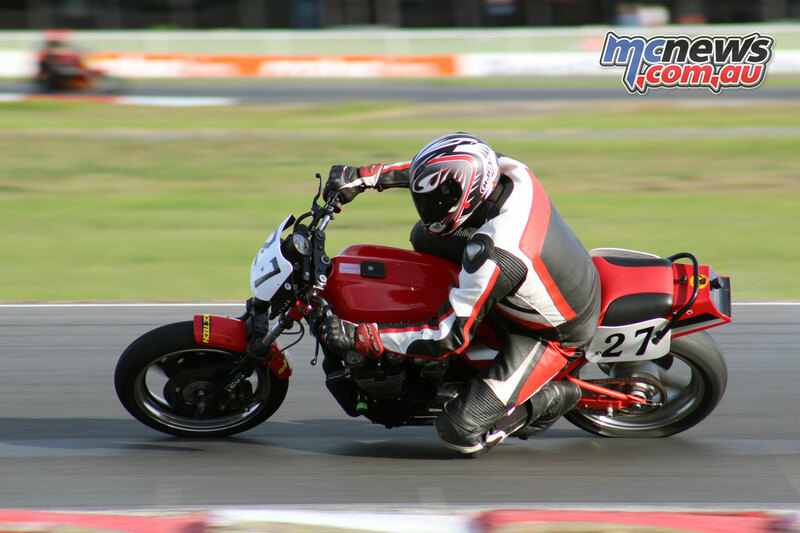 His corner speed was demonstrably faster than those around him and only lost ground once the bigger capacity bikes hit the straight bits. 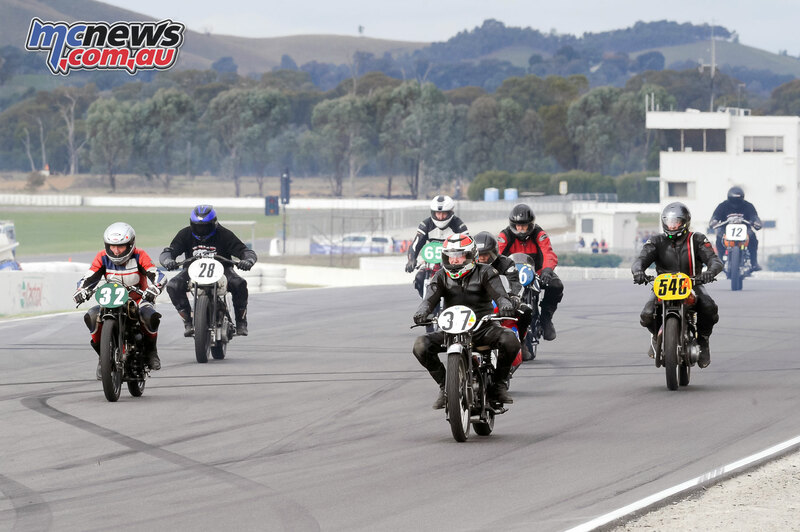 Overall, despite the weather turning chilly on the final day of racing, the track remained dry for the bikes alowing the riders to have a red hot crack and put on a great show for the spectators. 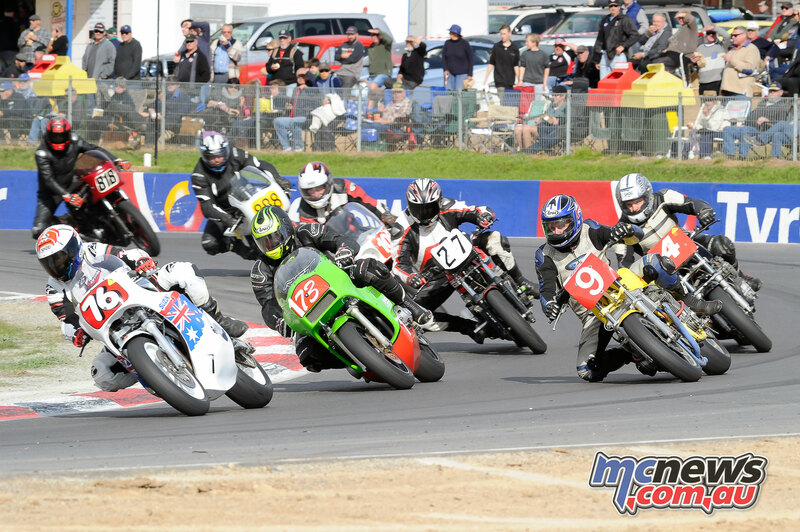 Thanks again to MCNews.com.au for giving classic racing continued coverage and support and thank you to Colin Rosewarne for again standing out on track for two days solid in sometimes difficult conditions to provide us with his great photos of Historic Winton yet again.